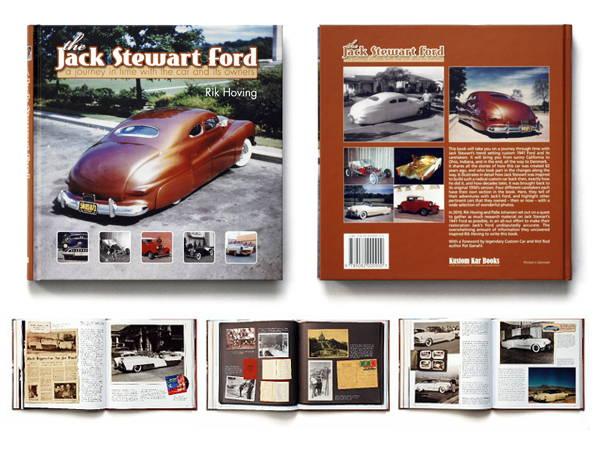 The Jack Stewart Ford book by Rik Hoving is a fresh approach to the documentation of one mans car from its beginnings to its recent restoration. Along the way Rik introduces you to the other owners over the decades of its existence and their part in the cars preservation. With each of them you learn more of their personal backgrounds and the other cars they have owned or built before and after the Ford passed through their hands. 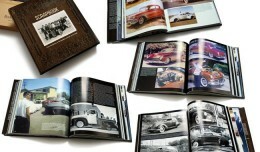 The book has a wealth of great photos from the 40’s to present many from the owners person collections. This hard cover publication does not disappoint and has the ability to keep the reader interested page after page. And then to return again to view the pictures or just reread it again. 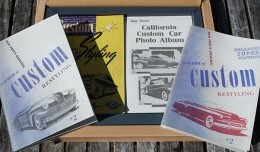 If you are a custom enthusiast this is a must have publication. Paul is our Australian contributor. He will share his amazing skills and his amazing historical knowledge on the CC-Chronicle. 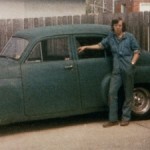 Paul Kelly has been into custom cars his whole live. He has operated his own custom shop - Smooth Cruisin - for many years and created some amazing cars. From factory stock restorations, to high end custom cars and Hot Rods to simple one off or production parts. Paul can do it all. Being an engineer he is able to create basically everything he needs with any material he can get his hands on. Some of the products he produced in the past have been used world-wide. The cars he has created have grazed the pages of many world wide magazines and books.